Gandhi has helped me enormously over the years in my work for peace, interreligious dialogue, civil disobedience and opposition to nuclear weapons. When I was imprisoned for an anti-nuclear demonstration for eight months, I studied Gandhi again to see how he survived prison and promoted civil disobedience as a tool for social change. For more than two decades, I have read Gandhi’s writings and biographies to find clues about how to live humanly in our inhuman world. 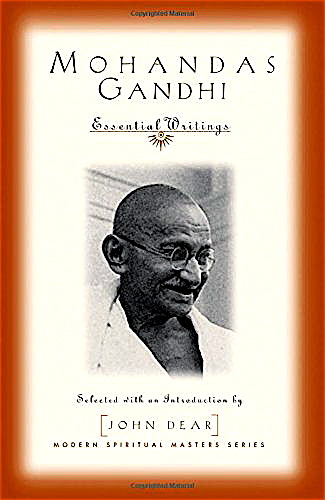 Gandhi’s answer is always the same: steadfast, persistent, dedicated, committed, patient, relentless, truthful, prayerful, loving, active nonviolence. EDITOR’S NOTE: John Dear is a regular contributor to this site. Please click on his byline for further biographical information and an index of his articles posted here, or go to our Author Archives page for access.